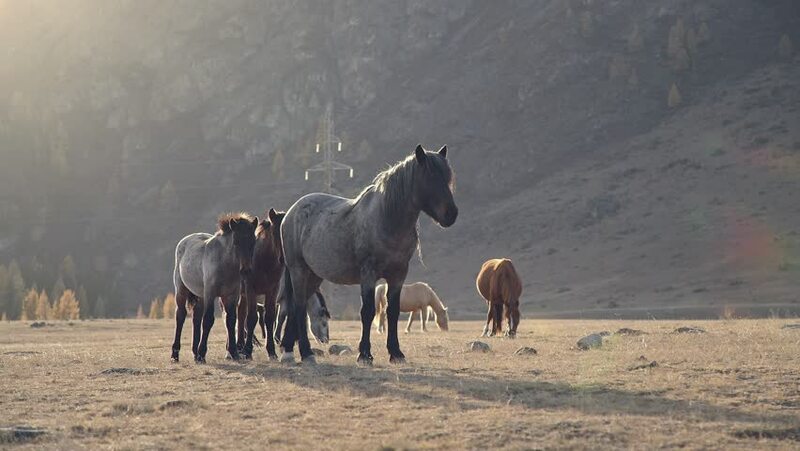 Horses (small herd) graze in a picturesque area surrounded by mountains. Wild horses walk and eat grass in a clear day: the sun's rays in the frame. Horses graze in the mountains. sd00:451960s: Llamas graze in the mountains, and activity at a Quechuan Indian market in Huancayo, Peru in the 1960s.